Sony had launched the first Aibo about a decade ago and it was about time it got an upgrade. The Aibo is back in 2017 with all the things that you expect from a smart robot. 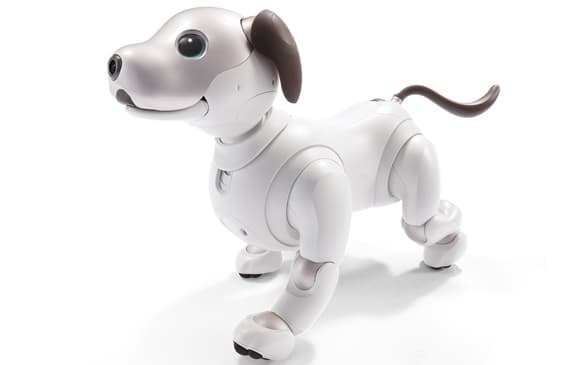 The new Aibo is powered by AI, can hook up to the internet and even has a subscription model for additional features. The Sony Aibo sticks to its initial roots of adorable pet and by using the power of AI it can be made as emotive as possible. The Sony Aibo can react and display emotions accordingly. Aibo can learn about different individuals and their personalities based on their interaction. The Sony Aibo is more attractive and adorable than ever with its new design. 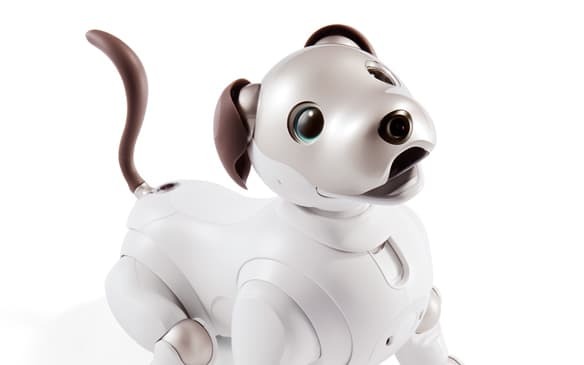 The new Aibo has a rounded design which not only makes it more puppy-like but easier to pet. The Aibo also comes with inbuilt body temperature which means you are no longer touching a cold robot but something that is warm and cuddly. 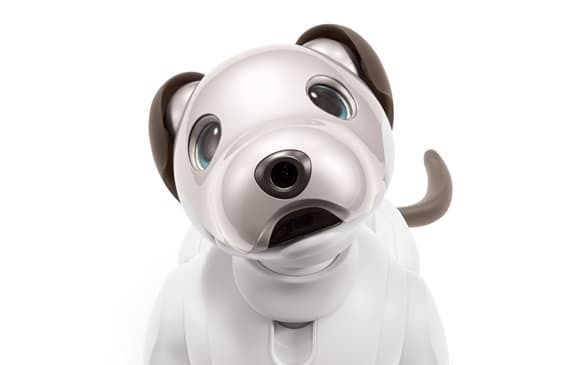 Aibo now has OLED eyes which mean they can give you an insight to its emotions at any given time. The Aibo responds to stimuli whether its sight, sound or physical contact. Its OLED eyes also have a camera which can help the Aibo look and respond to people and obstacles. Aibo can now hear for sounds and respond to it. Since Aibo’s primary motive was to serve as a warm companion it knows when you are patting it on the head or stroking its chin. Just like your real pet Aibo can get worked up too and you can use some tough love to bring it back in line. Aibo has been programmed with personality to like and dislike things. If you give it anything pink is the colour of Aibo accessories you can see the joy in its eyes. If you place it in a confined space or at a height you can see the nervousness in its eyes. Just like any smart robot of our time the Aibo is capable of learning stuff. It has been programmed with the emotion of curiosity to learn things. It can detect people and its surroundings. It can map out its surroundings in such a way that it can not only to avoid obstacles but find the shortest path between two distances. No two Aibos are same they can differ depending their growth. You can train Aibo using its companion app which is available for Android, iOS and web. Sony has put up the new Aibo for pre-order on its website for 1,79,000 Yen which comes to around Rs. 1,01,402. Now with this price tag it is already an expensive toy but Sony wants you to pay even more in form of a subscription fee. Remember how your Aibo can develop personality well if you want to back up that personality you will have to pay for Aibo Subscription Plan. The subscription plan also turns your Aibo into a smart can and you can backup photos and videos shot by Aibo to the cloud. The My Aibo app will also have tricks which you can buy and implement on your Aibo. The subscription service costs $27 or Rs. 1743 per month. You can also go for the longer 3 year plan which will set you back by 90,000 Yen or Rs. 50,986. The Aibo will be delivered to you by January 2018 and it is a Japan exclusive.